Biopics are notoriously difficult to get right. Trying to cram the entire history of somebody into 2 hours too often leads to a watered down version of their story that feels a bit cold. Which is why it’s so refreshing that Stan and Ollie has such warmth. By choosing to focus on a very specific time in their friendship, Jon S. Baird gets the opportunity to offer a character-driven story, exploring the lives of Laurel and Hardy both on and off the stage. In 1953, Stanley Laurel (Coogan) and Oliver Hardy (Reilly) are past their best – no longer considered the Hollywood juggernauts they once were. In order to revitalise their careers and fund a new movie, they embark on a tour of Britain that tests their friendship and health. The film is devoted to the later stages of Laurel and Hardy’s careers, but Baird does offer us a glimpse at their heyday. In the only bit of ‘flashy’ direction in the film, the opening tracking shot follows Stan and Ollie strolling around a Hollywood backlot. In a matter of minutes, we see how successful the two have become in the 1930s and the birth of the rift that tears them apart. Laurel is adamant the two deserve more money, Hardy is quite happy to let it slide. It’s a very clever way of acknowledging that period of their lives whilst pushing the narrative forward quickly, with a 16-year jump to the real story Baird wants to tell. His directive style if far more subdued throughout the rest of film, to allow the actors and characters to take the foreground. Steve Coogan and John C. Reilly are absolutely superb. They capture the essence of Stan and Ollie brilliantly. Their stage presence in the performance scenes is huge – it’s as though you’re watching Laurel and Hardy themselves. Everything, from the physical appearance to the mannerisms, is captured perfectly. It’s evident that so much care has gone into the authenticity of the set pieces – Reilly even emulates some of the mistakes that Hardy made in their dance routines – and it gives these sequences a sense of pure magic. Away from the spotlight, their performances are equally great. Both actors give such nuance and sensitivity which provides a fascinating insight into Laurel and Hardy as men. Their relationship covers all the bases of a love story. There is deceit and betrayal, interrupting the genuine affection and friendship of the pair. One particular scene, when the two confront each other about an event from their past is incredibly moving. It’s an argument but there’s no raised voices or wild gestures. It’s an understated, quiet moment between two friends, who are clearly in agony at the prospect of losing each other. It’s a gut-wrenching moment and a testament to their performances. Credit must also go to Nina Arianda and Shirley Henderson, playing Stan and Ollie’s wives. They breathe such life into these woman and provide some of the biggest laughs in the film . 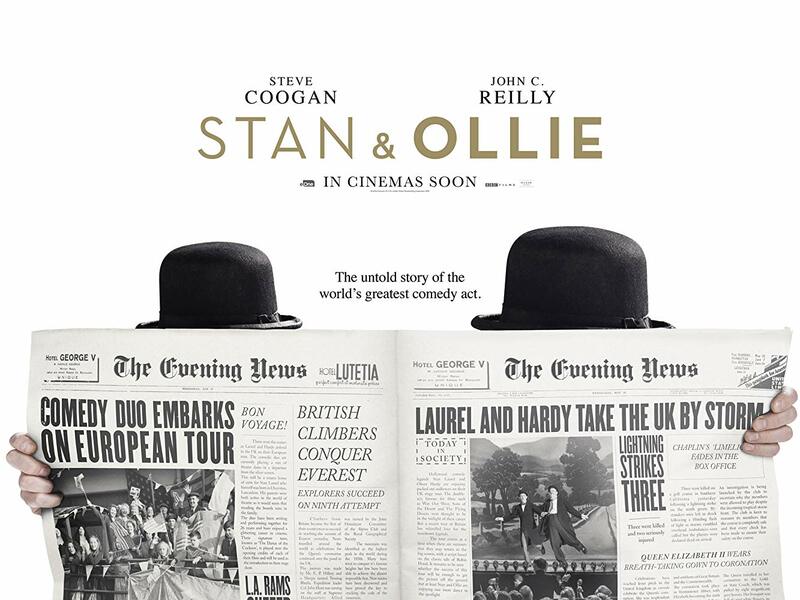 Stan and Ollie is a gorgeously tender film. It’s a celebration of two of the greatest comics to ever live. But as well as delighting you with hilarious set pieces, it provides a window into the personal relationship of two men who love each other, conveyed by two stunning performances from Coogan and Reilly.